The US Army Dugway Proving Ground requested that Logan Simpson record sites left unrecorded by a previous consultant. We used the previous consultant’s preliminary data (more than 200 GPS points) to locate cultural resources and determine site boundaries. Three sites were defined in the Northern Area and four sites were recorded in the Southern Area. We also prepared National Register recommendations for each site. The Northern Area is covered by a large, extensive dune field. 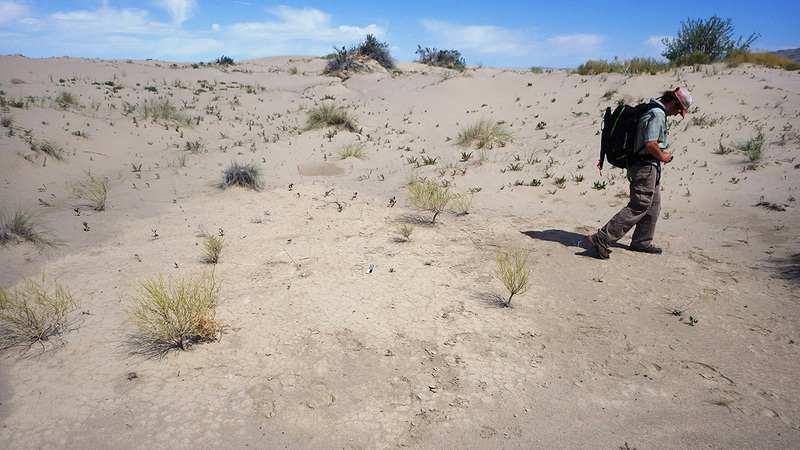 Dunes contain a variety of food resources, were seasonally occupied by prehistoric peoples for several millennia, and these repeat visits often result in dense, sprawling sites. One site—known as the Eleanor site—covered more than 220 acres and contained thousands of prehistoric artifacts associated with the Formative period. The Southern Area is on the playa left by the regression of Lake Bonneville. Several large sites associated with the Paleoarchaic period—the oldest known human occupations in the Americas—were recorded in this area. One of the Paleoarchaic sites, affectionately termed The Beast, covered 360 acres and contained more than 800 Stemmed projectile points. We also used our field-portable XRF spectrometer to source obsidian artifacts, which, because artifacts don’t need to be collected and can be sourced in the field, offered Dugway a value added service. 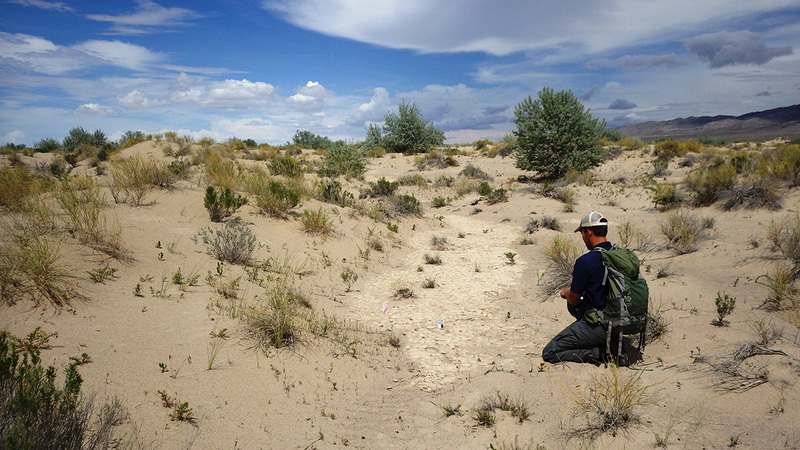 The project presented several challenges, including working in varying environmental conditions; recording several large, unique sites; and coordinating safety and access with Dugway’s Range Control. However, our experience at Dugway and our experience documenting large, complex sites allowed us to plan for these complications and complete all work within schedule.